This blog post will help explain the General tab Body Settings section of Doodlekit's Template Design Tools. This section only shows if you picked a layout with a 'contained' background style. In this section you pick the color of your main website background and the background image you want (if you want one). 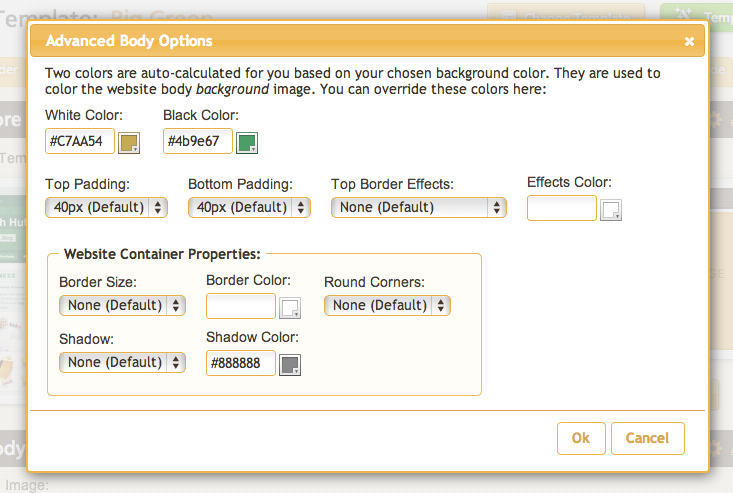 Use this color picker tool to select the background color you want for the body of your website. If you have picked a background pattern in addition (like the boards in the image above) the pattern will be tinted that color. This button will open a dialog box where you can pick a background pattern for the main body of your website. You can chose not to have a background pattern if you wish. This button allows you to upload your own image to be used as the background image for the body of the website. 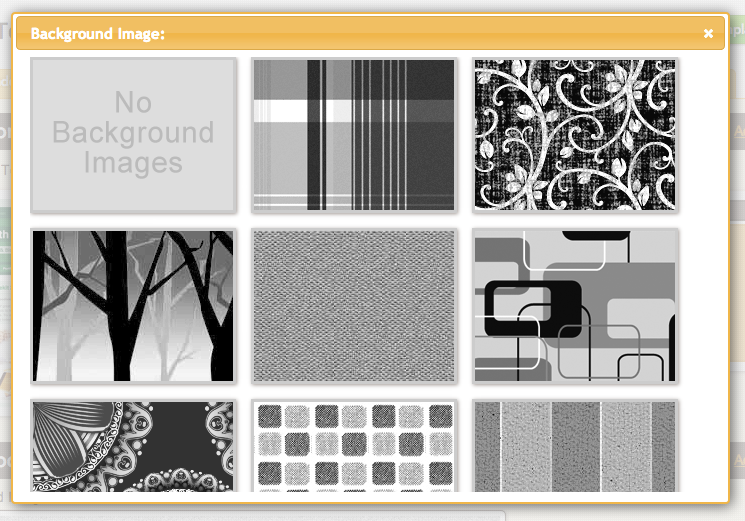 If you are using a background pattern you selected through Doodlekit, you can change its colors based on the default black & white image. Pick which color to replace black and which color to replace white. Any grey colors will be a mix of both colors. Select the amount of padding you want at the top and bottom of the body of your website. Select if you want a background border effect for the top of your website. Select the border effects color. Select if want your website container to have a border or not. Select the border color. Select if you want your website container to have rounded corners or not. Select the radius size. Select if you want your website container to have a shadow or not. Select the shadow color. No, this is a waste of time to try and prevent. People can always do screenshots and other methods to get copies of your images. The only thing you can do is threaten litigation on those site you find using your images. Awesome! Template design tools are very important in making our blogs so a simple know-how regarding it is a must. Thanks! Upgrade your website with our Halloween Special! Hailie Danielle Birt-Eash: The Blank Slate - Obstacle or Opportunity? Copyright © 2006 - 2015. Doodlebit, LLC. All Rights Reserved.